If you can't watch the above video tutorial, please read the text version below. Welcome to public feeds search from RSS Ground! 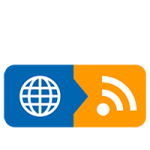 Public Feeds is an ever-growing collection of frequently updated content feeds on any topic. 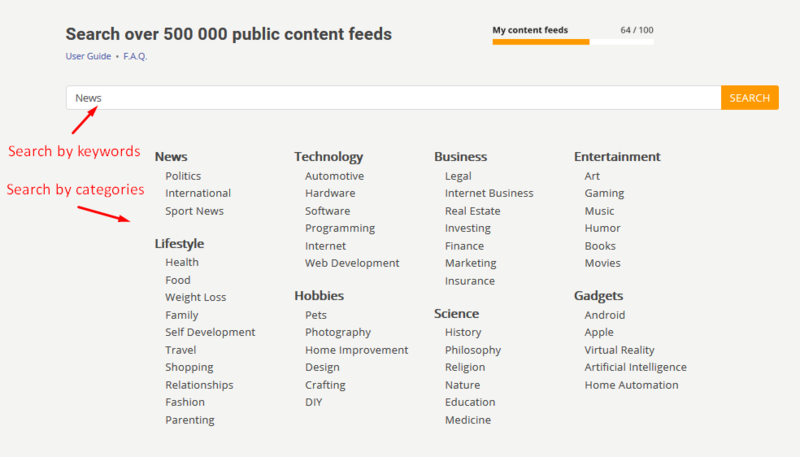 Here you can search for original content feeds from various content providers all over the Internet. Any type of content can be searched here: news, articles, blog posts, images, videos, podcasts and any other. Here you can find content feeds in your native language. 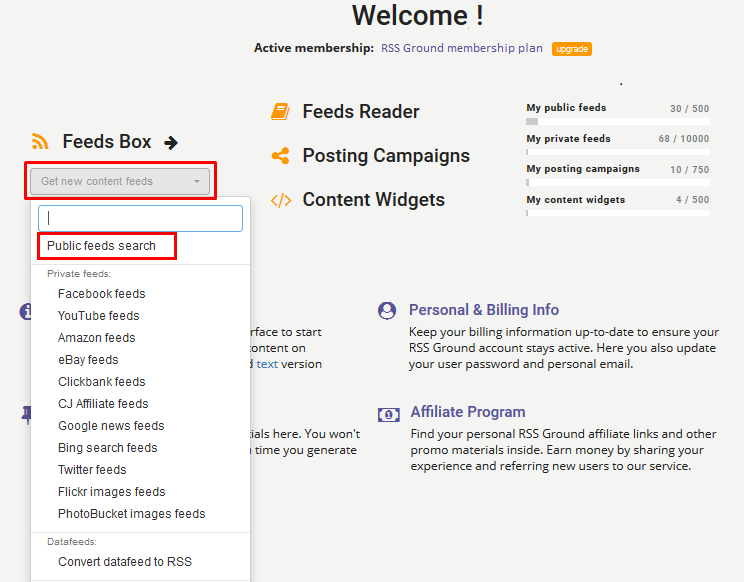 To use public feeds search you need to sign up for any of RSS Ground membership plans. Number of Public Feeds saved under user account may be limited depending on a membership plan. or in your account main page. Enter your keyword or key phrase into the search box. To search for public feeds in your native language use your native language keywords. Alternately you can search feeds by categories listed below the search box. 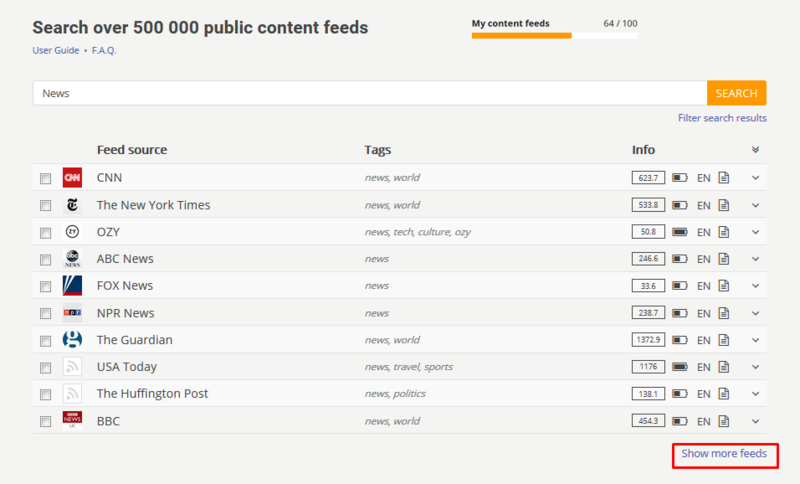 You will get a list of the most relevant public feeds on your query. 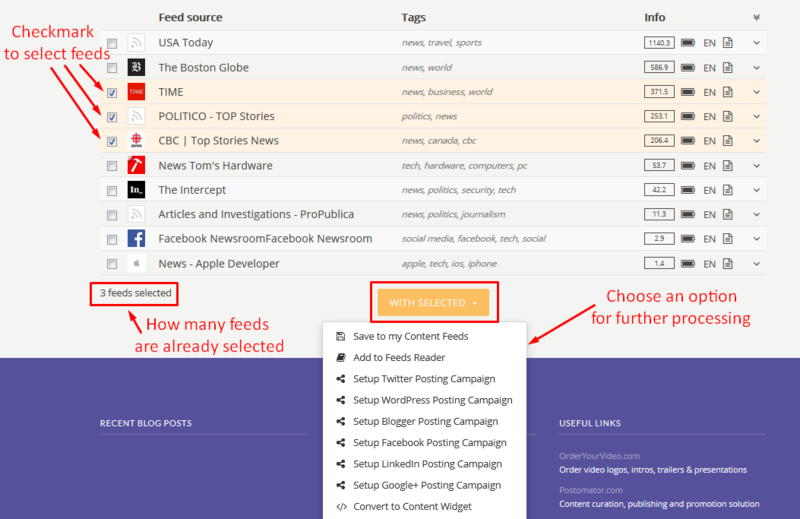 Find feed's description, feed's URL and link to feed's source in the expansion area. Titles only mode - shows only titles of news and updates. Magazine mode - shows a digest (image and short description) of the latest news and updates. Full view mode - shows all available information on each news and update. Not all feeds can be displayed in full view mode. Click on its title or use " View original" icon to go to news homepage. Note: if you are using Chrome browser, please do not use such extensions as AdGuard and AdBlocker, as they conflict with our previews. You won't be able to view videos in feeds previews. There are plenty of other ad blockers that don't break your browser. Initially, you see a list of 10 most relevant public feeds in search results. Click Show more feeds to load another portion of related feeds. 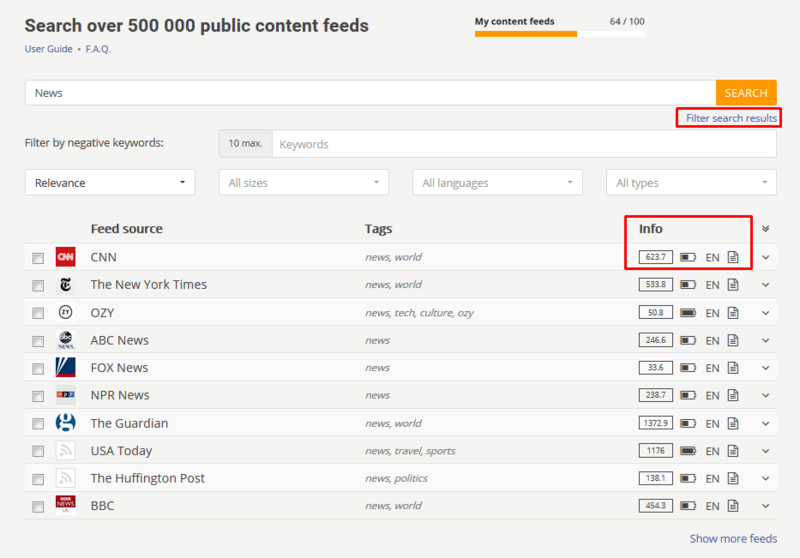 You can get up to 100 relevant feeds on your search query. Updates frequency - shows the number of updates per week. Content size - shows if the feed contains full articles or just summaries. Language - shows the original language of the feed. Content type - shows the type of content provided in the feed: articles (text), videos, podcasts or else. Use Filter search results option to sort and filter public feeds by each indicator. Also, you can filter search results using keywords. Specify one or several keywords in Filter by negative keywords box. All feeds which mention at least one of the specified keywords will be removed from search results. Checkmark public feeds you like and press WITH SELECTED. Use Setup posting campaign option to start sharing content from public feeds right away. 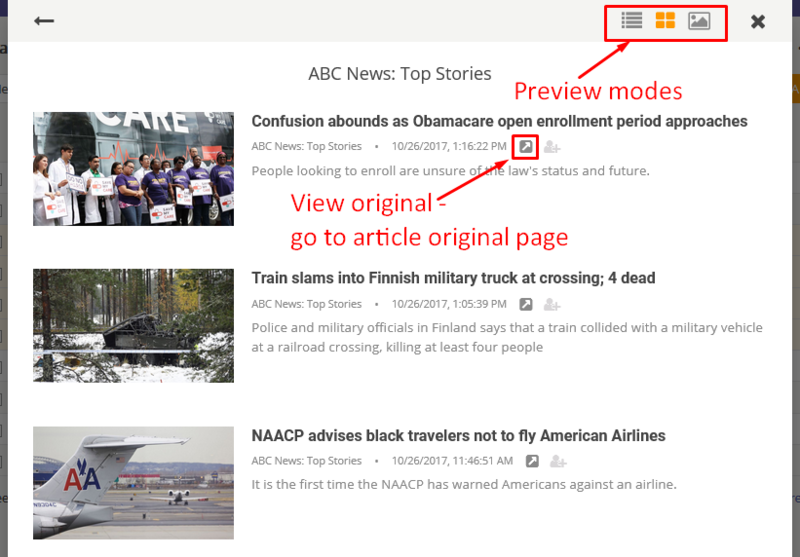 Use Add to Feeds Reader option to start following all latest updates in regards your search. Whatever option you choose your new public feeds will be saved to your Feeds Box anyway.